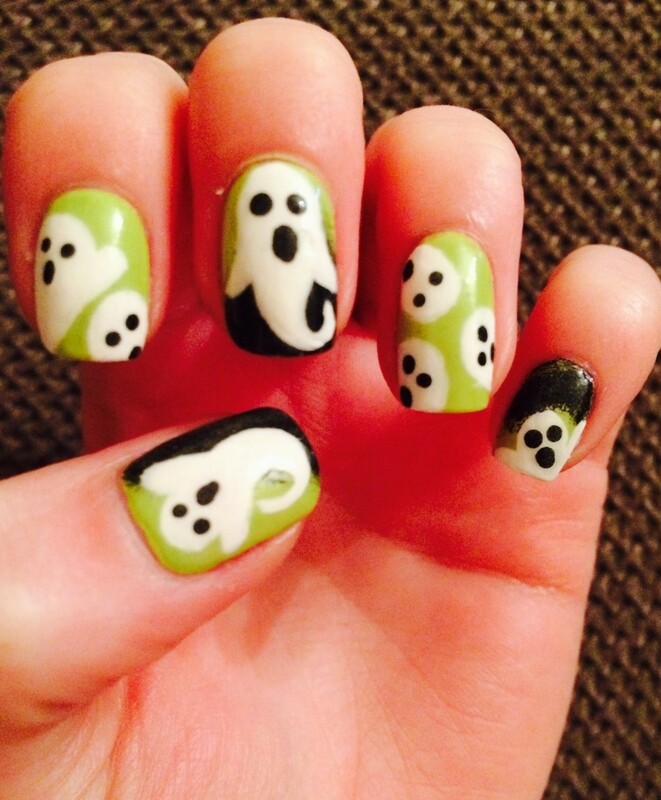 Waiting anxiously for Halloween! 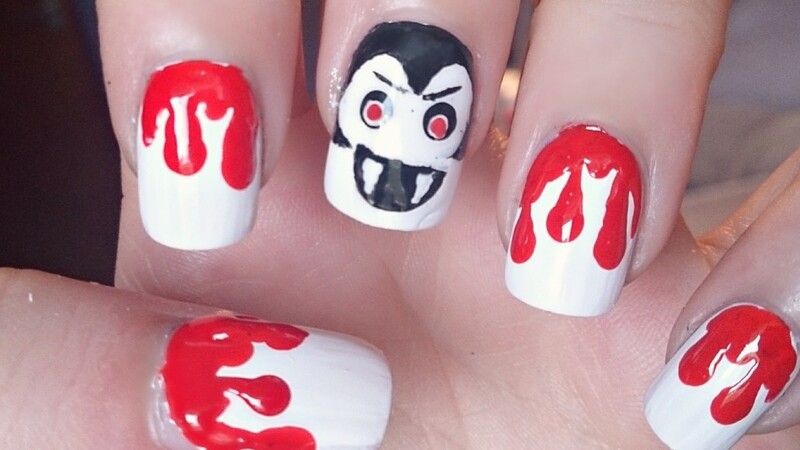 Choose from these 6 best easy and charming DIY Halloween nail art design tutorials that will make your eve more horrific. 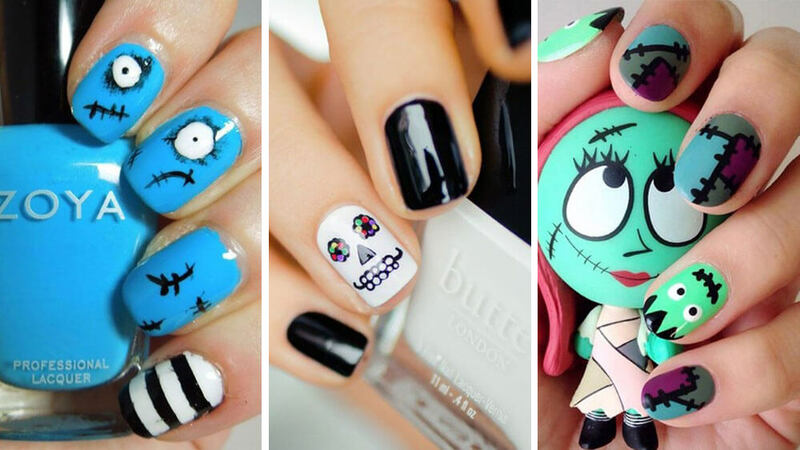 These styles are all about decorating your nails for the most spooky day considered in several parts of the world. 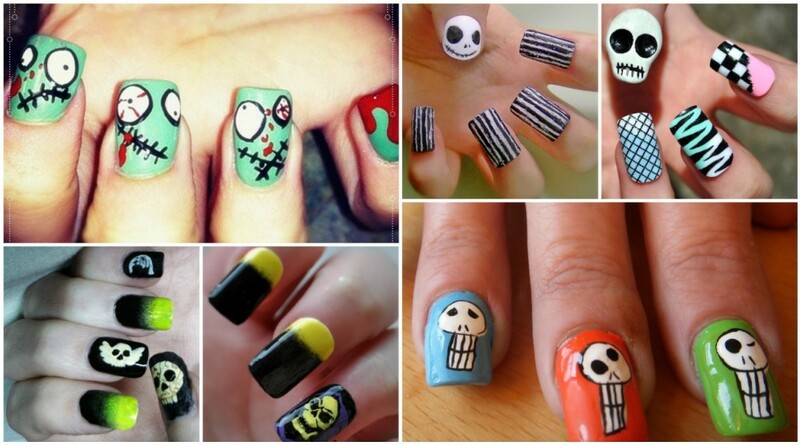 In this October you can enjoy these cute and simple nail designs by doing it yourself without going to nail salon. 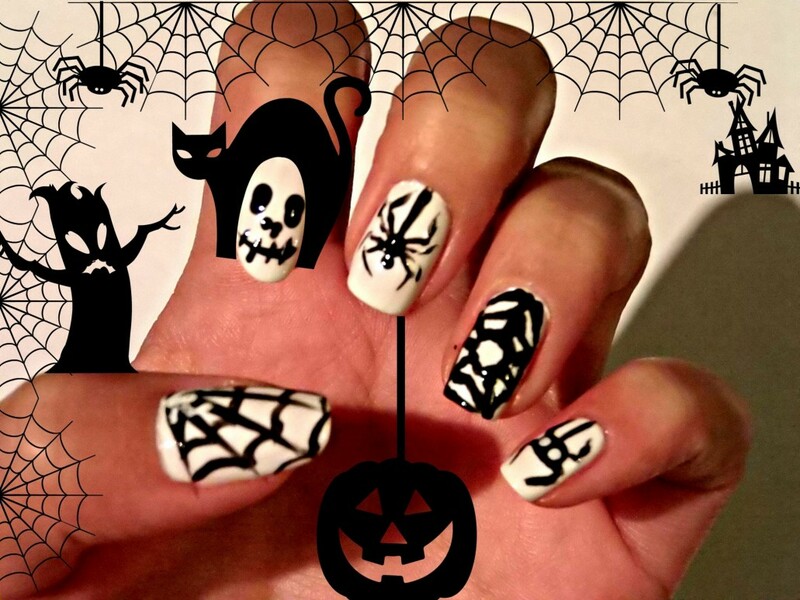 Don’t bother going to the saloon for your Halloween Nail Design as you can easily get one for yourself at home with following simple steps and by practicing. 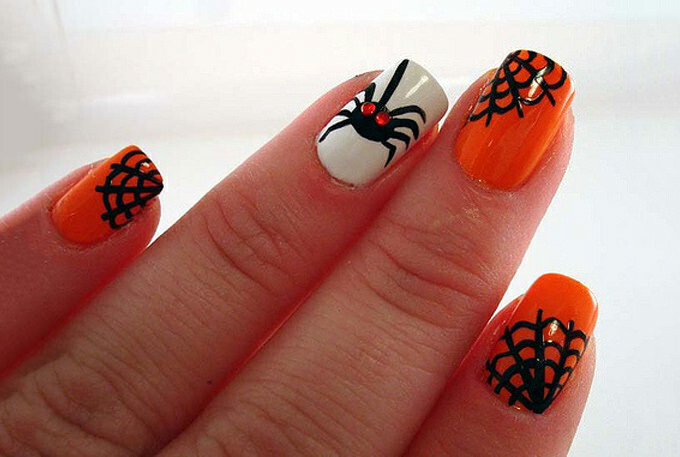 Halloween nail art is a beautiful way to spice up your look, it can add a distinctive flair to your appearance. 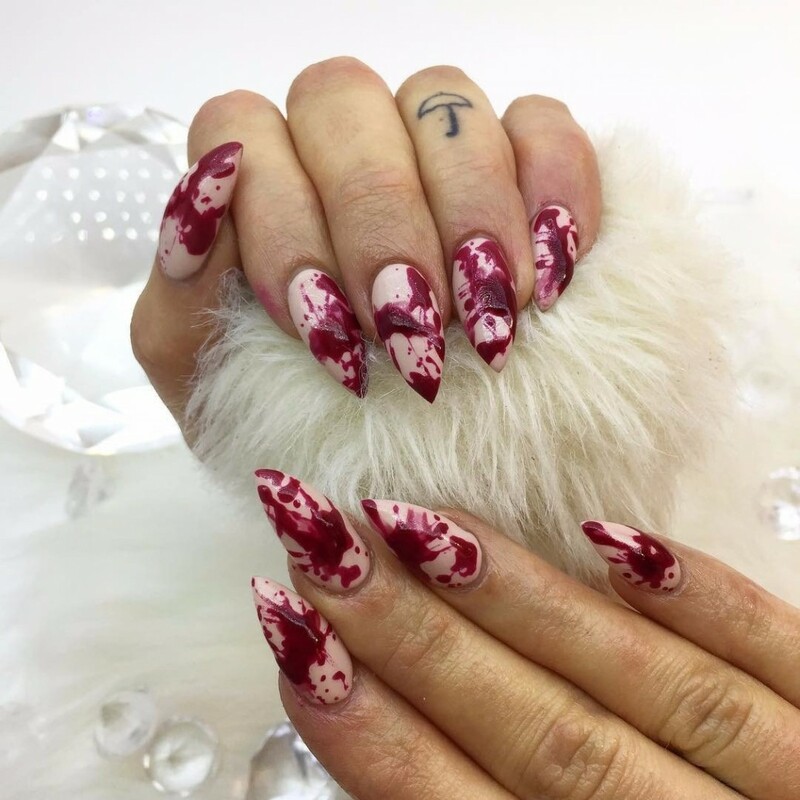 For very details and complicated nail art designs there are a number of tricks and techniques that you can apply at home. 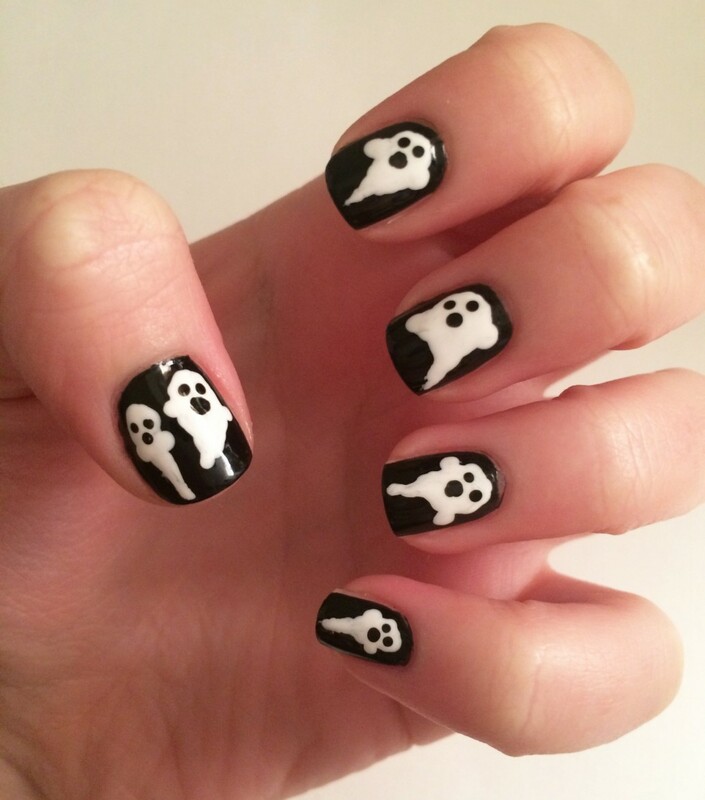 Here we have all the quick and easy Halloween nail art tutorials to do it yourself to save time and money that I have collected from the web. 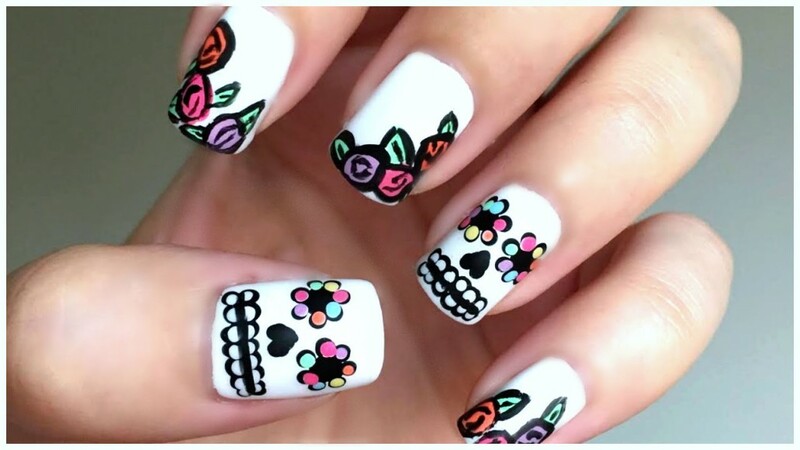 You do not need to buy any nail art tool, you can use toothpicks to make a skull and dripping nails or by applying simple stripes you can manifest any style on your nails. 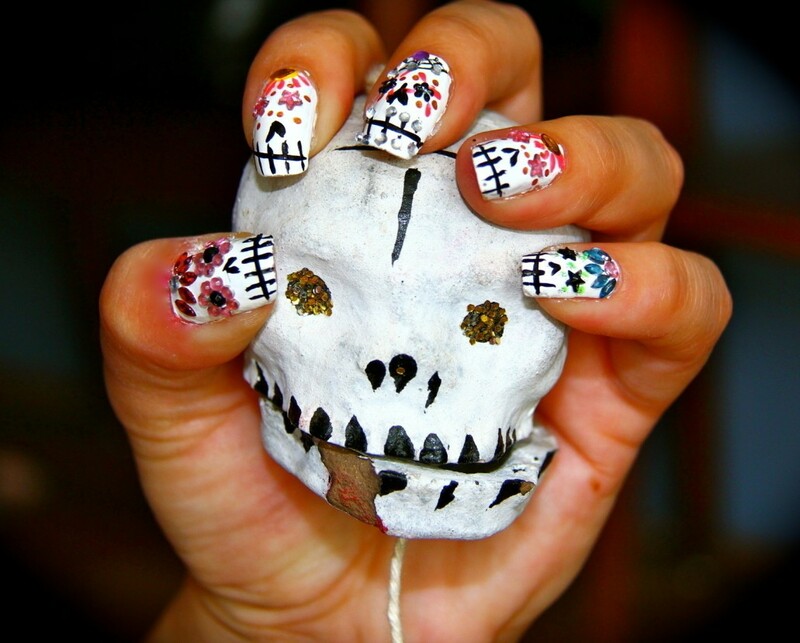 What you need is a little practice and a lot of patience. 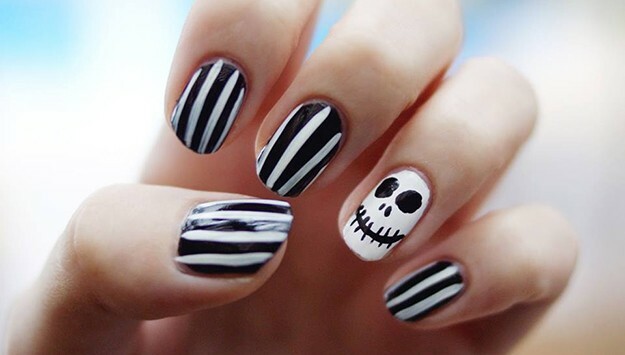 If you are going for zebra nail art design then it would be a better option. 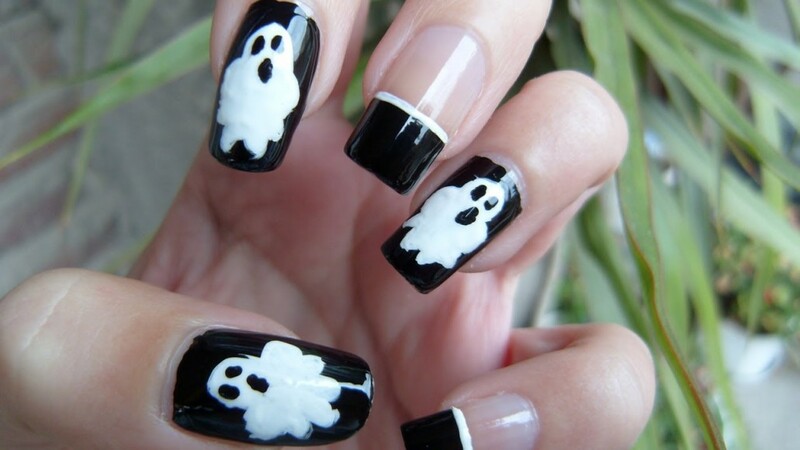 Observe the tutorials carefully and do your nails at home without spending big amounts in beauty saloons as these are very simple yet trendy designs to attain spooky looks. 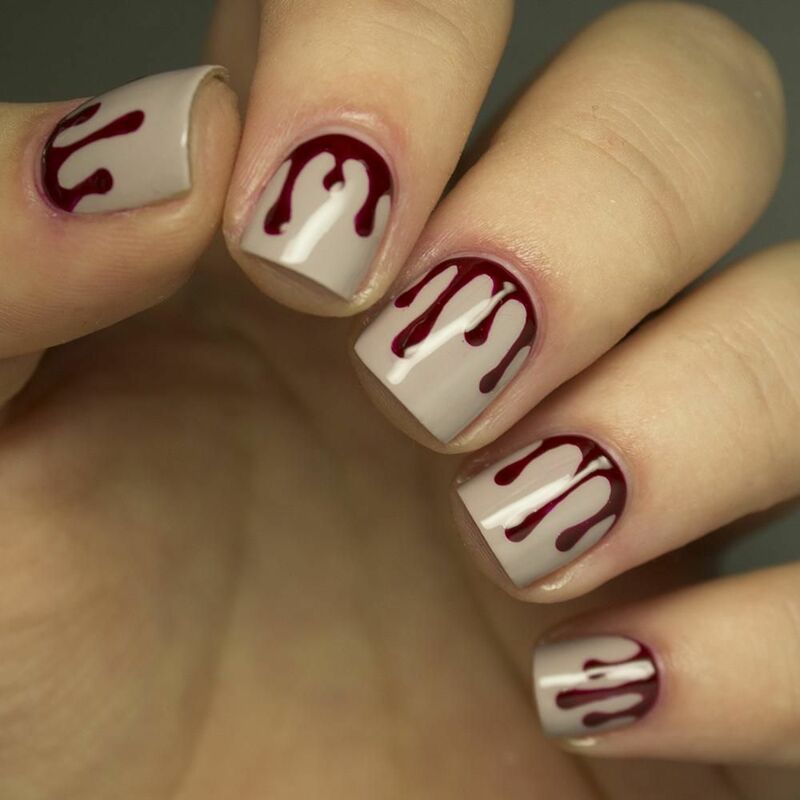 If you are new to the manicure nail art designs then go and check this link first regarding how to apply nail polish to your fingertips and toenails. 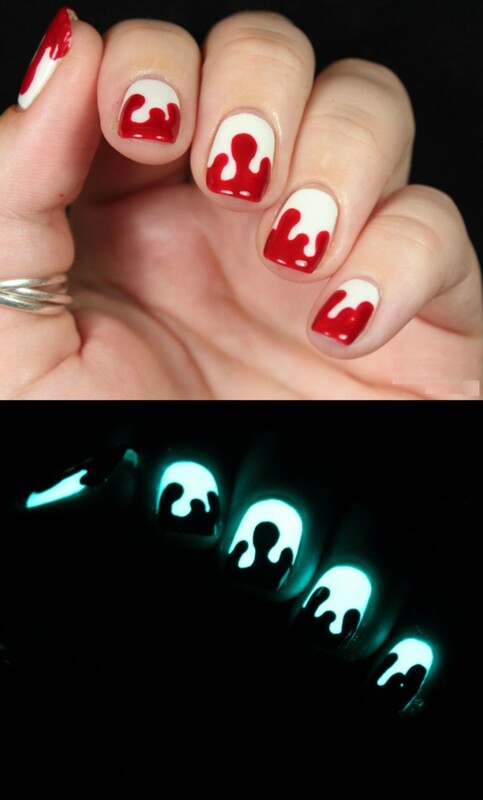 Remember the fact that your costume would not be complete until you apply a Halloween themed manicure. 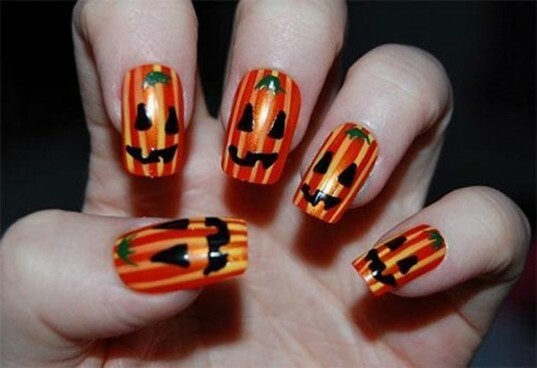 They will surely be a great fashion element to add to your Halloween party. 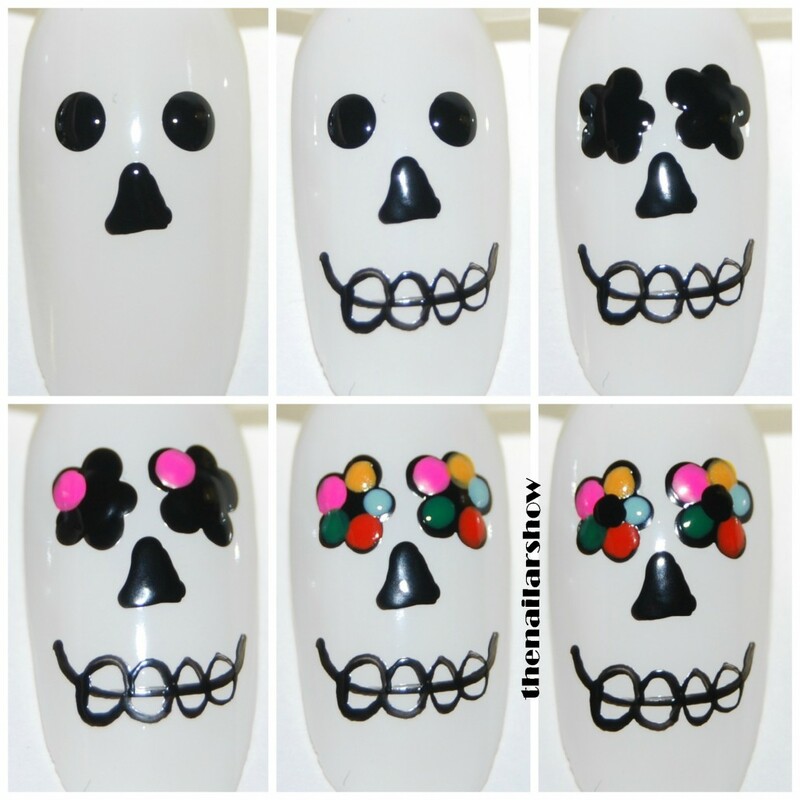 Try this classic black and white skull nail art as it is very simple as shown in the pictures below, you can try this with neon colors as well. 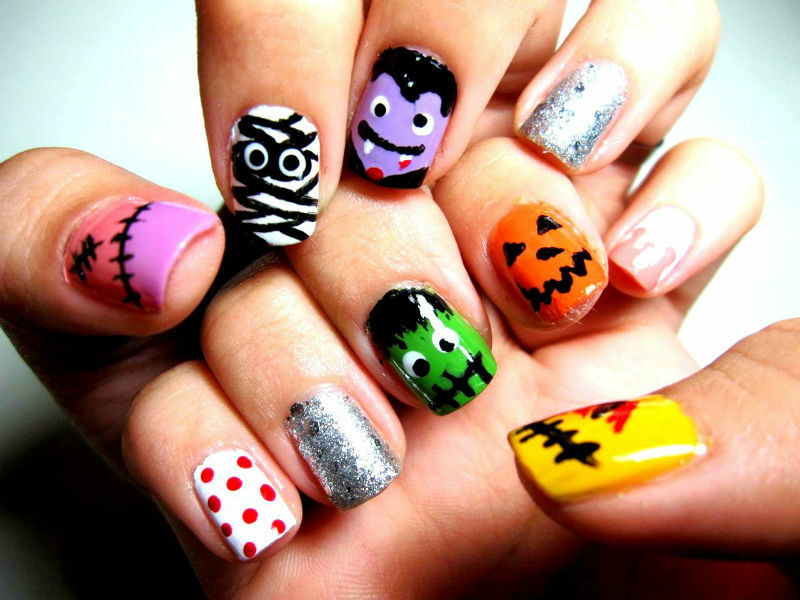 Try a style that fits your costume so that you can be completely satisfied with your look overall. If you are looking for Party wear dresses then before leaving have a great idea for our selection. 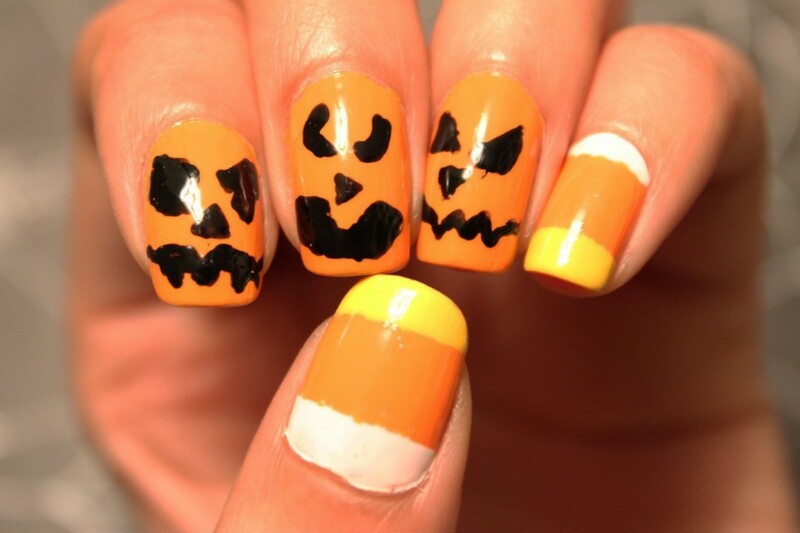 Have a look at our nail polish color trends also. 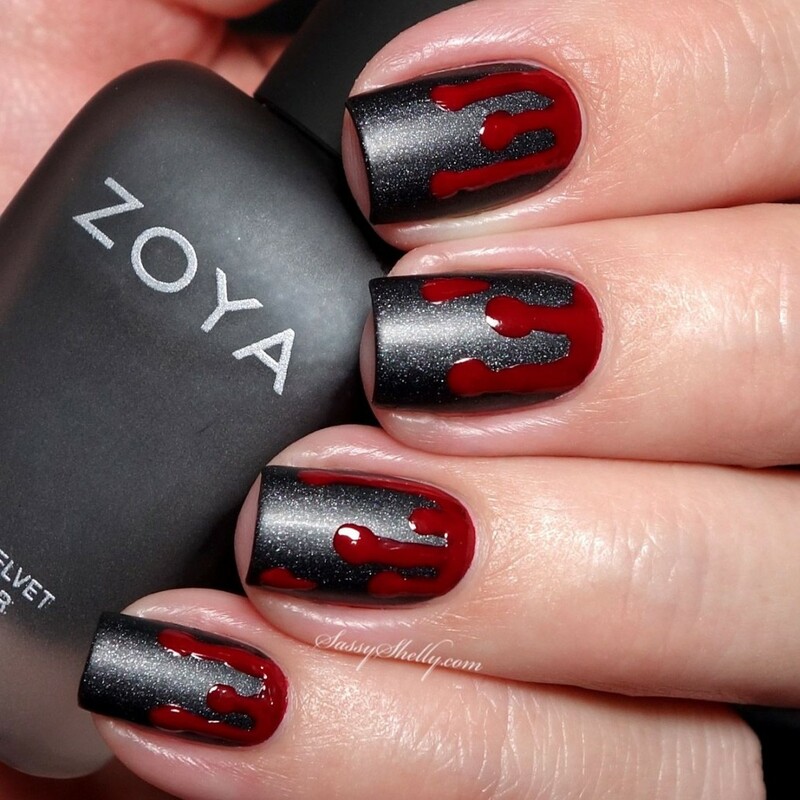 This October, get inspired by dripping nails to have zombie looks, it is easy to do you can do this even without practice because this must look messy, follow the step by step dripping nail picture tutorial, choose vampy hues to create this nail design. 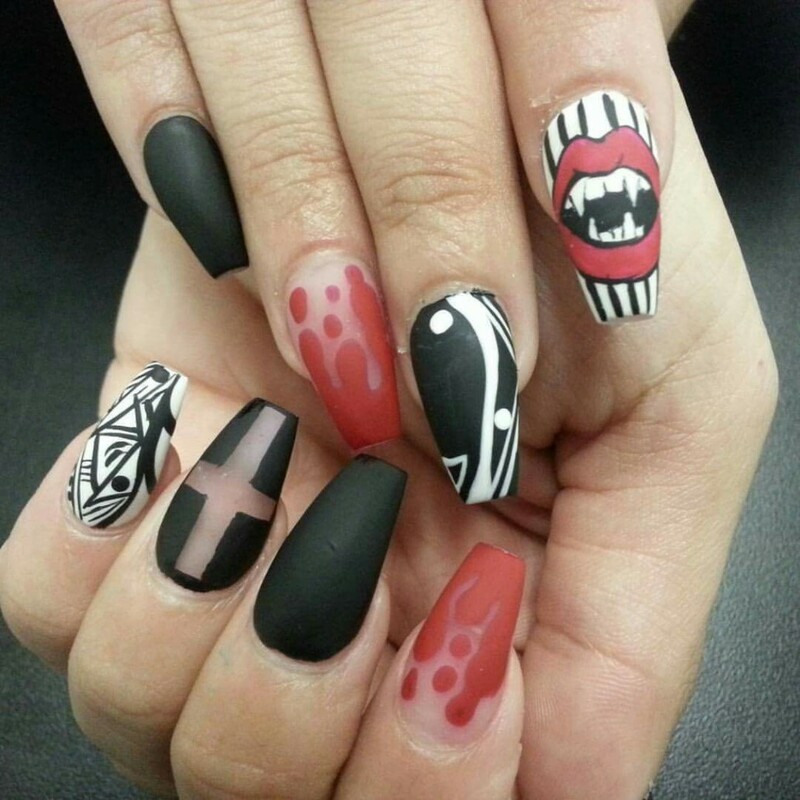 Prom nail design ideas can also inspire you if you are looking for something different. 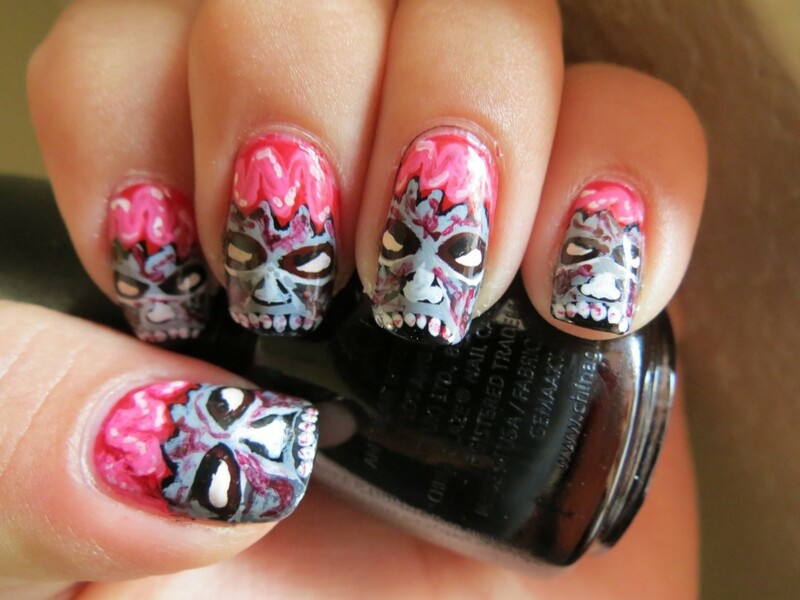 Decorate your nails painted like zombies to terrify others and to enjoy Halloween. 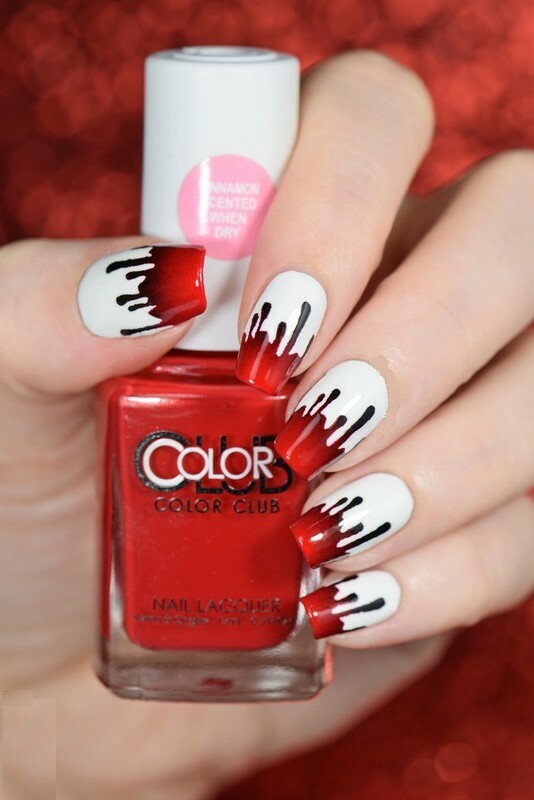 Red nail polish color should be your choice if you are going for this option. 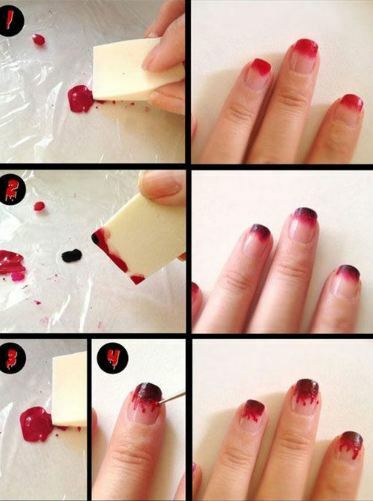 Read pedicure nail art ideas for this hot summer. 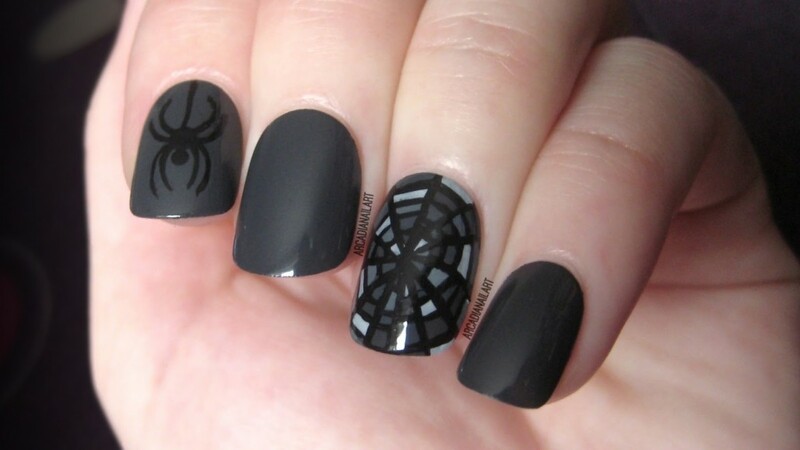 Spider nail design is one of the easiest nail art to try at home, you can do it by observing the picture tutorial below. 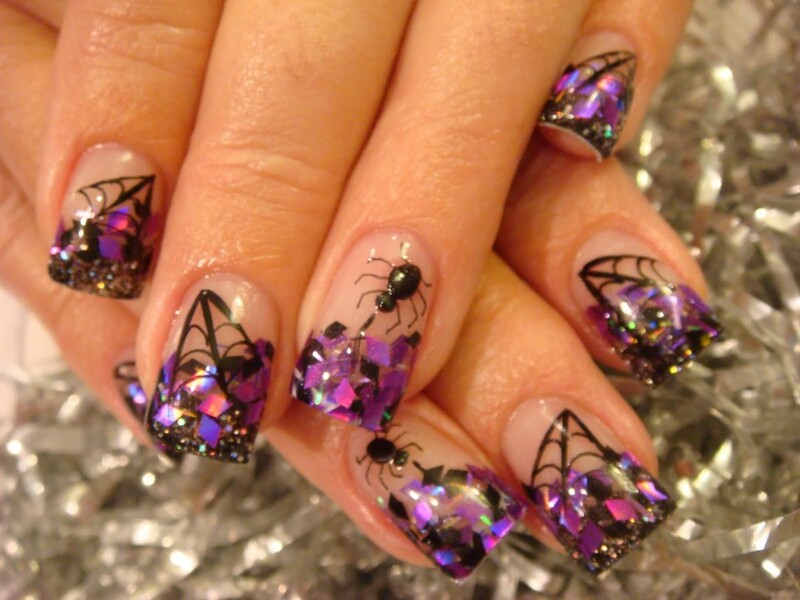 This style is all the way for spider lovers and to make other fear of spiders. 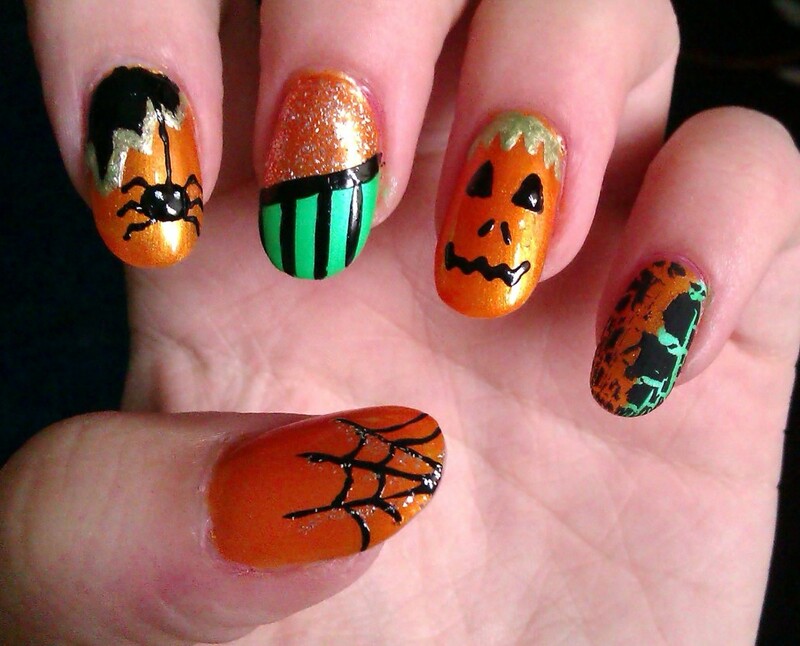 Christmas nail designs can also be seen here. 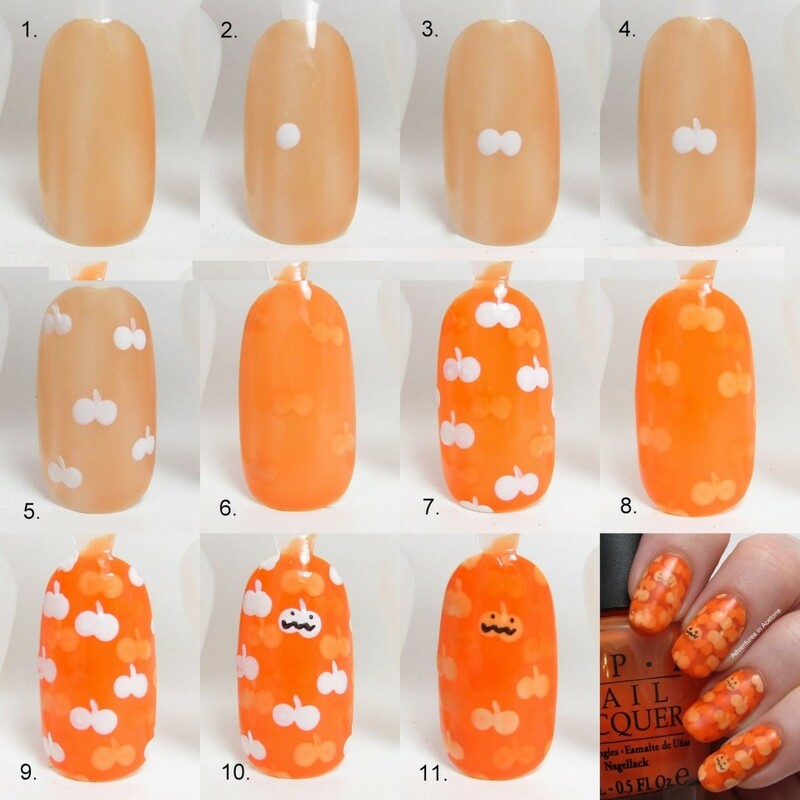 A very simple step by step pumpkin nail art tutorial for beginners to do it yourself at home. 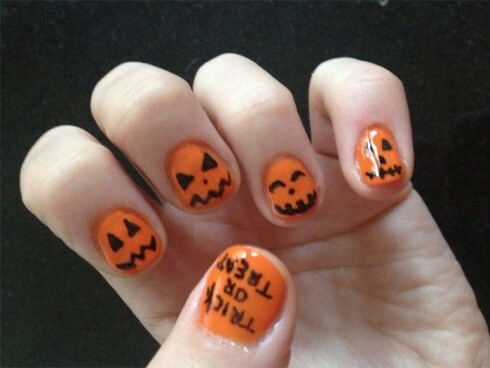 Pumpkins are not only for scary decoration but can be easily plotted on your nail area for having a mysterious and matching look. 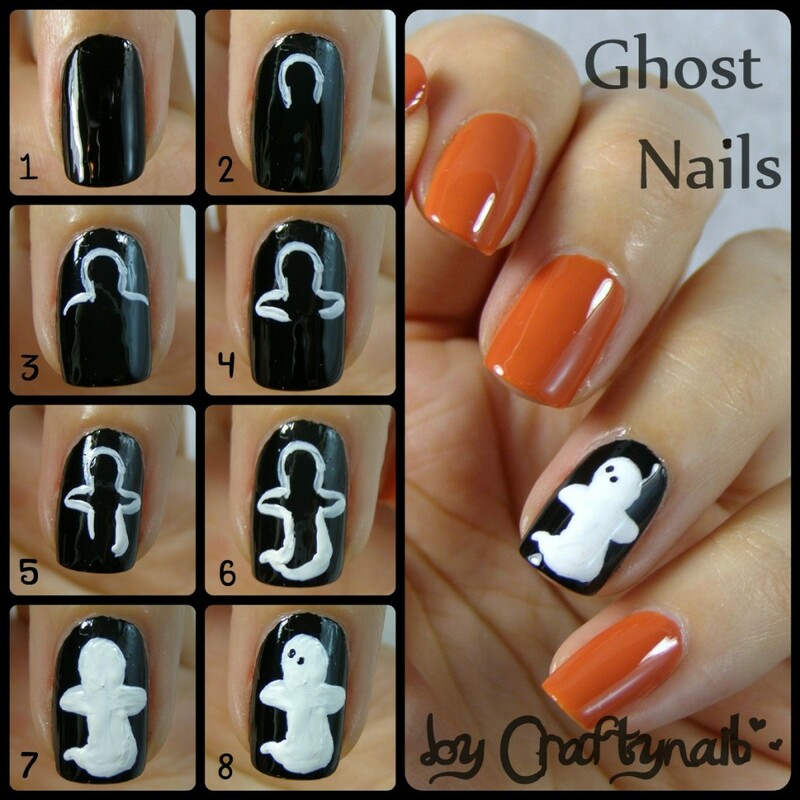 To get spooky nails follow this easy simple step by step picture ghost nail tutorial. 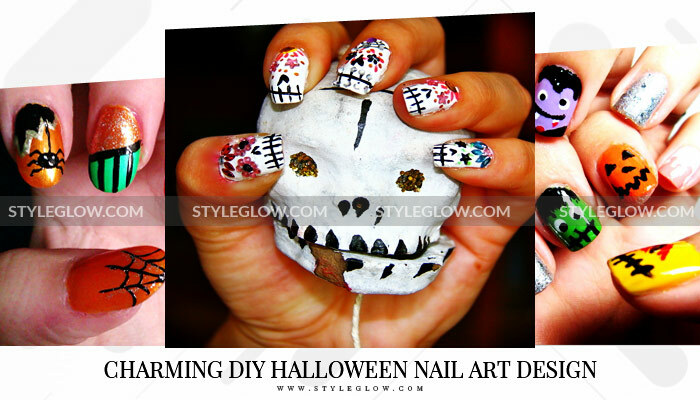 The design is surely going to make your look spookier and can be applied to any type of nail type. 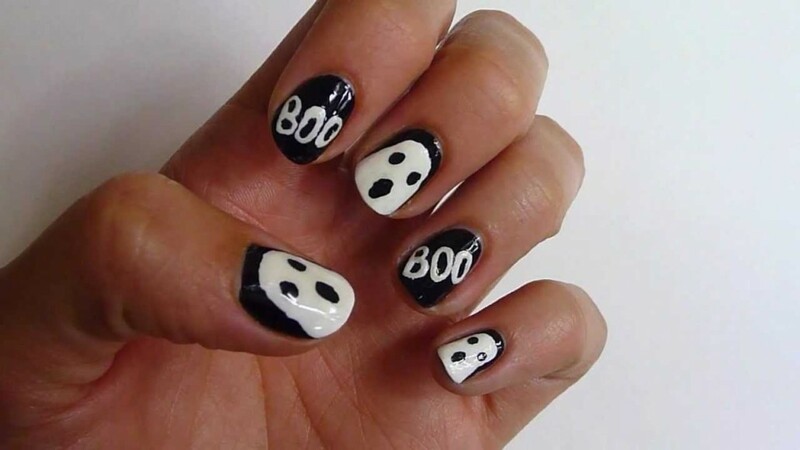 All these ideas for the best easy and charming DIY Halloween nail art design tutorials will make your look frightening this October and you would surely look weird by adorning these styles. 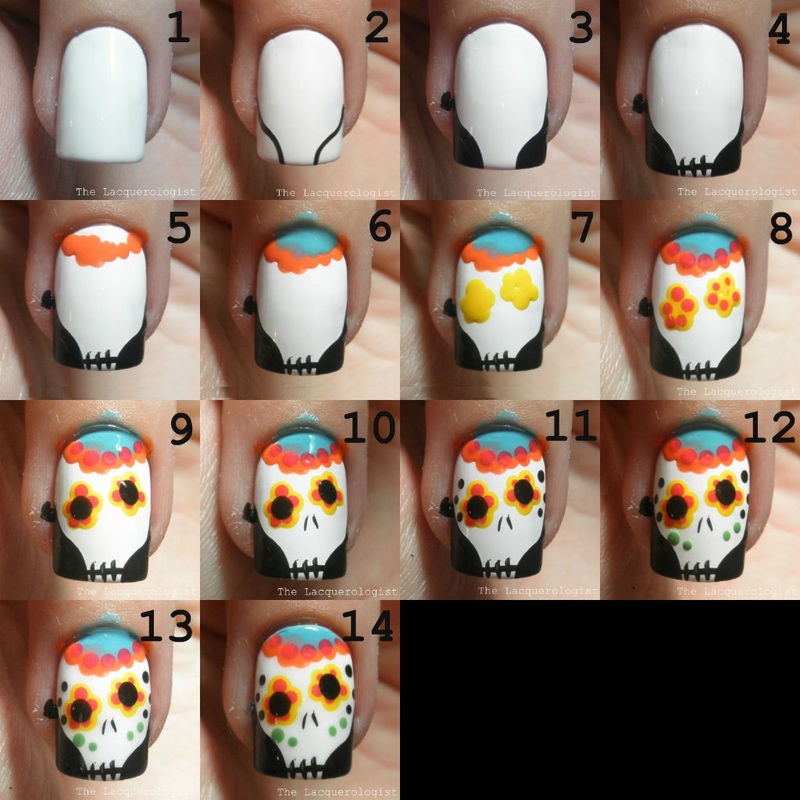 Do leave a comment that which style you would go for and which is the best pic out of these horrifying Halloween nail art designs.